Here we go, Steelers -- HERE WE GO! 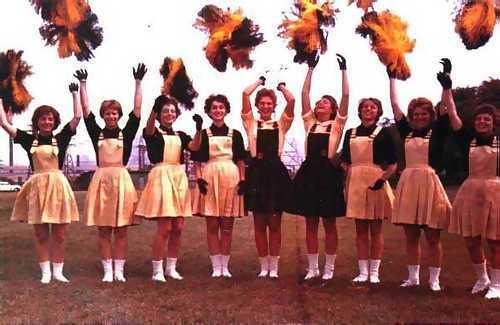 The 1961 Steelerettes had proved to be a tremendous success with the fans and the media was starting to take notice. When the 1962 squad was selected, Bob Prince interviewed them on his weekly tv show, they were being mentioned in newspaper articles and Eleanor Lineman was featured in a full page newspaper spread demonstrating referee signals. Whether or not they achieved fame didn't really matter -- as the picture to the left shows, the Pittsburgh Steelerettes were having one heck of a good time. The individual members of this enthusiastic squad from 1962 are, from left to right, Bonnie Robinson, Jean Craig, Jaye Ann Harris, Harriet Sago, Eleanor Lineman, Linda Walters, Judy Byers, Arlene Wooley and Bonnie Laird. 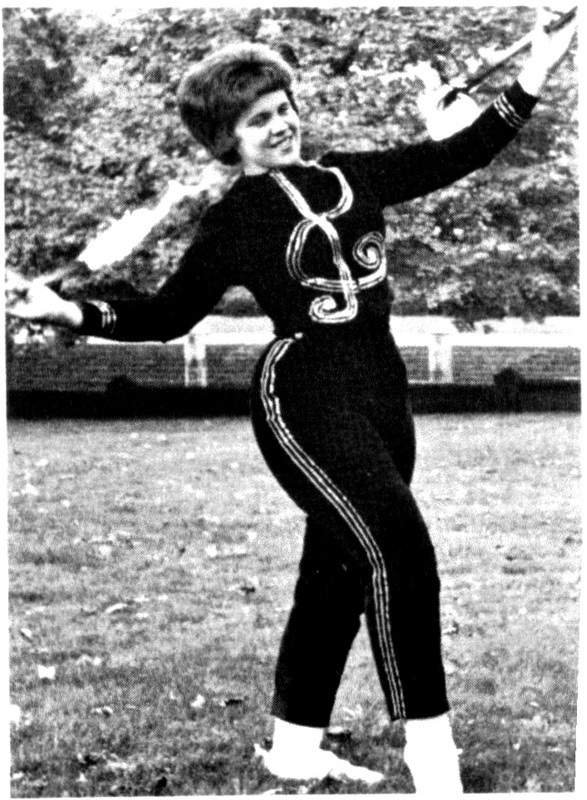 In 1962 two new features were added: Carole Sematic displayed her awesome twirling skills as THE STEELER STRUTTER, and a group of young men called the Ingots (also students at Robert Morris Junior College) were added to compliment and assist the cheerleaders in their routines. The name comes from a term in the steel industry which refers to a lump of metal (steel) cast into a shape that makes the metal easier to transport. Pittsburgh is a city built on the coal, coke and steel industries, therefore, the name seemed to fit. We now had the Steelerettes and the Ingots. The years have faded a lot of memories, so no one remembers whose idea it was to set up a cannon in the endzone. It seemed like a good idea at the time -- what a great way to punctuate each touchdown and really get the crowd charged! The Ingots would fire the cannon, the band would play the Steeler Fight Song and the Steelerettes would go into their Victory routine. It was an exciting moment, and the crowd loved it. After one particular touchdown the cannon was fired just a little too close to Buddy Dial (#84) as he crossed the endzone. The poor man thought he had been shot and it nearly gave him a heart attack. Needless to say, the cannon was conspicuously missing from the next game, never to be seen again. It must not have done any permanent damage since Buddy Dial made the Pro Bowl team that year. In fact, the Steelers ended the 1962 season with the best win/loss record in Steelers history. Hopes were high that maybe a championship title loomed ahead. It didn't happen in '62 but they had made it as far as the playoffs. The '63 season looked pretty bright. Socializing with the players was strictly forbidden and violating this rule could lead to dismissal from the squad. The only exception was when the press wanted a picture of one or more of the girls with a Steeler. This was usually achieved during training camp at St. Vincent College in Latrobe. 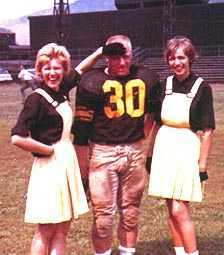 The diehard fans flocked to the field to watch "their" Steelers scrimmage and the press was always nearby.